Press releases are a fantastic way to gain publicity and market your event, product or company, along with a wide array of other uses that can actually boost your brand, popularity, relevance and even your search rankings. So how effective can a press release be? Let’s look at some press releases we have written and sent out on the wire recently and give you some statistics of what they were able to achieve. The example to the right shows a press release that we wrote and published for Sweat and Stilettos, one of our clients who had just recently moved into a different city. We wanted to get the word out about her move but thought a press release about the classes would do the job in a much better, more newsworthy fashion. Results achieved by the press release? 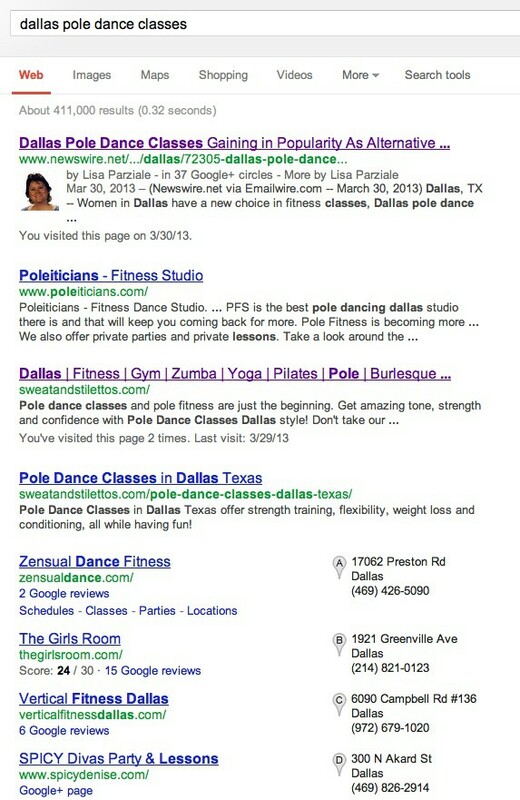 When anyone searches pole dance classes Dallas, the press release is #1 since Google News LOVES press releases. They are relevant and with some work on our end, can be ranked. The article talks a lot about Sweat and Stilettos and they gain credibility with the Dallas consumer market. The press release helps rank the customers website and web pages, as it has links back to the site. The press release can and was picked up by other news sources both on and offline, giving it even greater exposure. While we can never guarantee that a press release will get picked up by any news channel or have these types of results, we have had a 95% success rate and think that is enough to begin sharing this new marketing tool with our clients! If you are interested in purchasing a news release or some press releases, also note that there are ads we can run on the page WITH the release, giving you greater exposure. 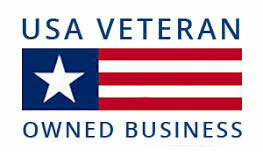 If you would like to see more press release success stories, please click here. Portside Marketing is fantastic. Our company has used them for over 5 years and they definitely deliver quality service. Would recommend them to anyone! Whether you are looking for website renovation, rejuvenation, or reincarnation, Portside Marketing fits the bill. We at Cowtown Segway Adventures have increased our foot traffic and imprint by 35% over a year ago by simply listening and letting PM lead us through the darkness that internet advertising/marketing can be to so many of us. They are, quite simply, the best. Love the people at Portside Marketing. Customer service can't be beat. Lisa was so patient and offered so much advice to get my business up and running smoothly. You have made a loyal customer. I was using another large and "reputable" company for Web, SEO and marketing but results were very poor. A business associate recommended Lisa and Portside Marketing....the only regret I have is not knowing about their talents sooner. Lisa and her team are courteous, responsible, and deliver the results that they promise. Thank you, Portside for your excellent work!